Recently, a follower of this site sent me an email asking if I could provide an update about how some of the players I had previously covered are doing. John Holdzkom – In my very first blog post, I remarked that John Holdzkom’s story was the reason I wanted to start this website. John is currently on the DL for the second time this year. He has spent the entire season with the Pirates Triple A team, the Indianapolis Indians. After getting off to a rough start, he is 2-0 on the season with a 3.38 ERA and 27 Ks in 21.1 IP. 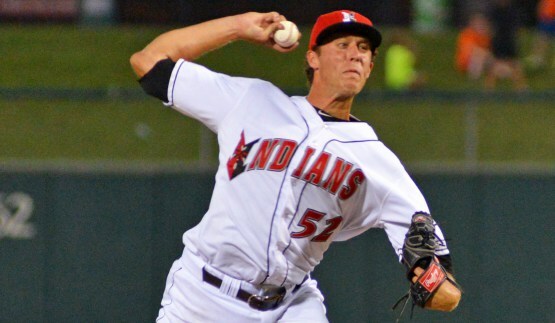 Matt Sergey – Another personal post I made early on was covering Matt Sergey’s perfect game for the Washington Wild Things. Matt is back with the Wild Things for the 2015 season. In 9 starts, he is 3-3 with a 2.33 ERA. He has already passed his career-high professionally for innings pitched (54) and has 59 Ks. Chris Peacock – After being signed in the offseason by the Pittsburgh Pirates, Peacock was released and then returned to the American Association, this time with the St. Paul Saints. He has a 1.59 ERA with a 1-0 record in 11 games. Tony Smith – Tony was traded right before the season started from the Schaumburg Boomers of the Frontier League to the Winnipeg Goldeyes in the American Association. He is 2-1 with a 3.41 ERA in 16 games (2 of which were starts). He has 33 K in 37 IP. Sam DiMatteo – Sam is playing with the Old Orchard Beach Surge of the newly formed North Country Baseball League. He is batting .344 in 23 games (102 plate appearances). He also has 2 HR, 16 RBI and 9 stolen bases. Jacob Fabry – Jacob is once again teammates with Sam and has been playing on the Surge as well. He is batting . 296 in 26 games (129 plate appearances). He has contributed 12 RBI and stolen 8 bases so far this season. Tim Henry – Another one of the Pecos League stories, Tim is back with the Alpine Cowboys in the Pecos League for the 2015 season. In 42 games (118 AB), he has a .246 average with 2 HR and 21 RBI. Omar Artsen – Omar was signed by the Miami Marlins out of the Pecos League last year; However he was eventually released by the Marlins organization. He then went to the American Association and played 2 games with the Winnipeg Goldeyes going 1-7 at the plate. After being released from the Goldeyes, he played for the Garden State Grays in the Can-Am league for only 3 games with 1 H in 8 AB. Brandon Cunniff – After earning his second chance at affiliated ball with the Braves, Brandon never looked back. 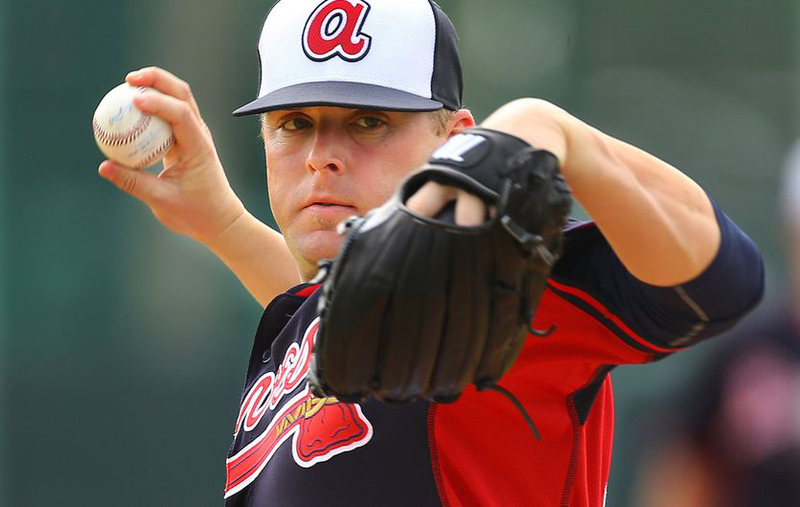 This year, Brandon started the season in the bullpen for the Atlanta Braves. He set an Atlanta rookie record when he didn’t allowed a hit in four relief appearances (four innings) to start his major league career. Brandon has a 2-2 record, 4.23 ERA and 30 K in 30 games with the big league club. At one point in the season, he was sent to AAA Gwinnett where he has a 1-0 record in 3 games. He has since returned to the big league club but is currently on the major league 15 day DL for a groin strain. Javy Marticorena – Javy achieved his dream of landing on Indy Ball Island when he signed a contract to play in the Mt Rainier League. Sadly, the MRPBL folded after just a few weeks, and Javy is back home working hard for another opportunity. Nick Renault – Nick, like Javy, was caught up in the MRPBL drama, but he still made the most of his few weeks being back in his hometown in Oregon and enjoyed his short stay. He is now back home in Hawaii. 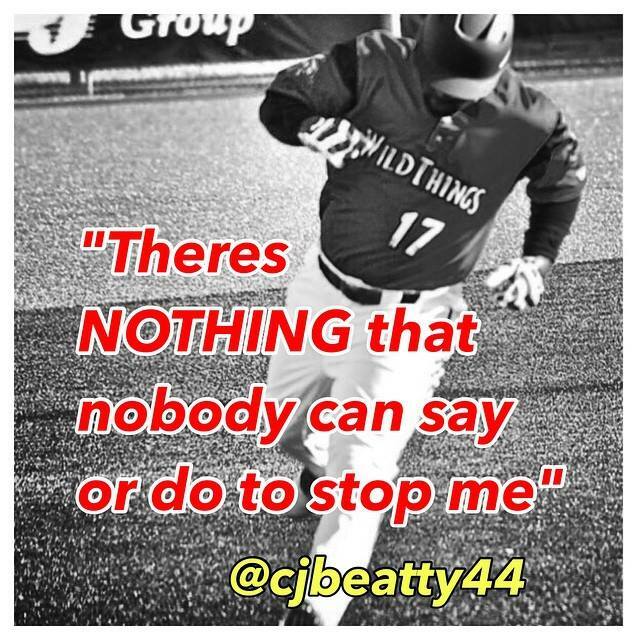 CJ Beatty – CJ used his never give up attitude to bounce back after being released from the White Sox organization at the beginning of the season. He came back to the Washington Wild Things in the Frontier League and is batting .262 in 42 games with 2 HR and 21 RBI. 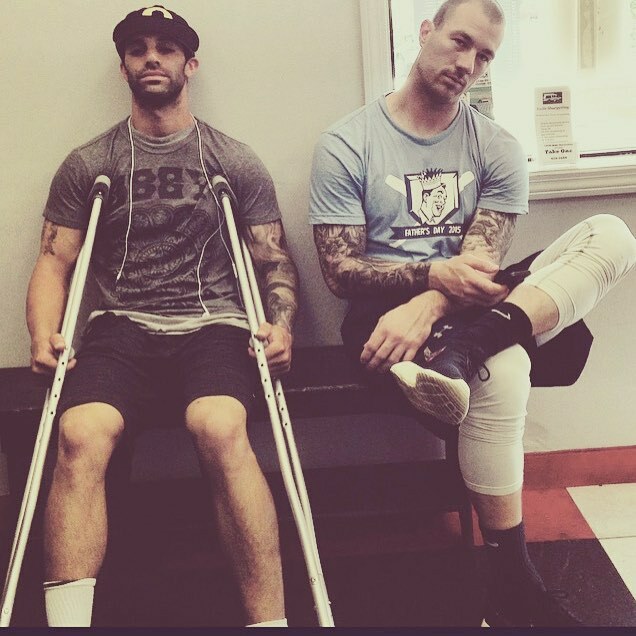 CJ will have to use his positive attitude once more to get through another tough situation as he now finds himself on the DL with a quad injury. Al Yevoli – Al was picked up by the Arizona Diamondbacks after the 2015 Frontier League season, but was released during spring training. Instead of returning to the Wild Things, Al landed a spot with the Wichita Wingnuts in the American Association. He has a 3-0 record with a 3.67 ERA and 26 K in 26 games (27 IP). Stewart Ijames – Stewart started the season with the High A Visalia Rawhide for the Arizona Diamondbacks. 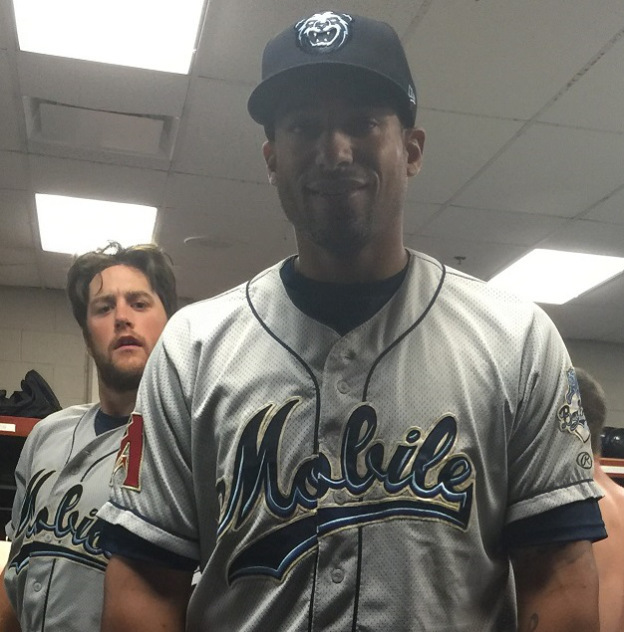 After batting .267 with 15 HR and 37 RBI in 60 games, he was promoted to the Double A Mobile BayBears. In 14 games (31 AB), he is batting .323 with 1 HR (his first hit in AA) and 7 RBI. Matt Fields – After being released from the KC Royals organization, Matt was signed by the Diamondbacks and was sent to Double A Mobile BayBears. In 3 games (11AB) so far, he is batting .364 with 1 HR. Sean Conroy – After making news as baseball’s first openly gay active player, Sean is still doing well with the Sonoma Stompers of the Pacific Association. He has a 2-1 record with a 0.69 ERA including 24 K in 26 IP in 10 games (2 starts). Luke Wilkins – Luke is currently 4-2 with a 2.80 ERA starting in 10 games for the Washington Wild Things. He has struck out 35 in 61 IP. His 61 innings pitched are the most on the Wild Things team. 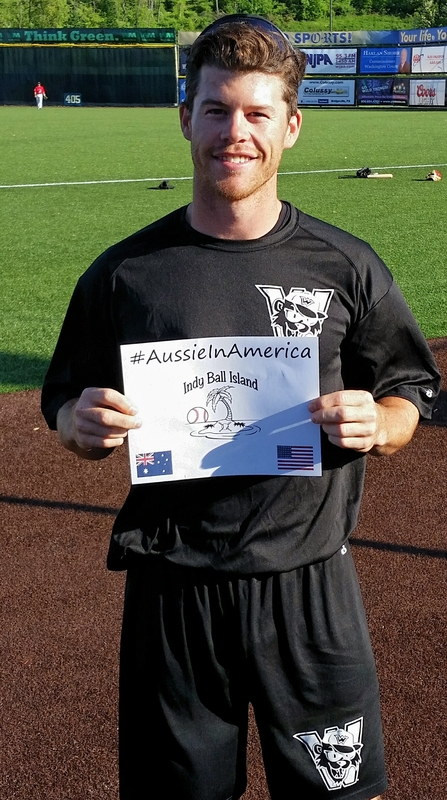 Ben Lodge – In 37 games (130 AB) with the Frontier Greys, Ben is batting .208 with 8 RBI. Stay tuned and subscribe for more updates as the season progresses!